While most credit unions have been reluctant to adopt new technologies, many recognize that members wouldn’t choose local banking at the cost of a second-rate digital experience; these frontrunners implemented digital transformation during the past year as a means of enhancing the member experience. In the 2018 Retail Banking Trends and Predictions report, the top three trends in digital banking are 1) Removing friction from the customer journey (61%), 2) Using big data and advanced analytics (57%), and 3) Improving integrated multi-channel delivery (42%).3 Credit unions must face these challenges head on to stay relevant — not only are younger members accustomed to and typically prefer technology over personal interaction, the age 50+ demographic has witnessed an ever-increasing use of digital technologies as well. 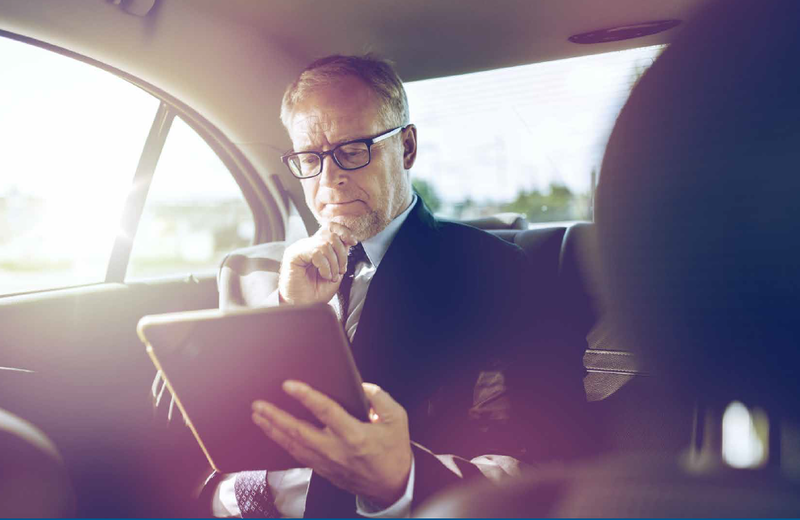 In our executive search experience, is it critical to find leaders who can address the growing need for technological advancements in the industry. Research reveals the majority of consumers prefer a superior digital experience over competitive rates and fees. Big banks are responding by investing billions in improving their mobile banking and other digital experiences. Credit unions cannot make that level of investment; however, they can make a few changes that will yield a huge impact. For example, consumers don’t want to spend hours trying to find information online, so an easy-to-navigate website can create a positive customer experience at a relatively low cost. “There is no point in spending millions on back office technology only to have members come to your site and not find what they are looking for,” says Bhatia. Executive search and assessment tools can often help fill in leadership gaps by recognizing which leaders have the skills and potential to drive forward change while recognizing financial restrictions and other limitations. New technology can help credit unions collect data that can be used to gain accurate snapshots of member activity and preferences. Analyzing data across all digital channels can not only improve the organization’s sales and marketing efforts but also enhance member experience by creating a more personal banking relationship. “Capture data for all the touch points the customer has with your brand, be it digital, call center, or retail,” says Bhatia. “Then use that information to gain a complete picture of your members and how best to design a complete experience from their lens instead of the organization’s.” This is another area where a broad scope of executive search and assessment insight can benefit credit unions. At Stanton Chase, we examine cross-functional and cross-industry leadership potential. In other words, a tech-savvy executive from outside the banking industry may be the perfect fit for solving current credit union challenges. Adopting new digital channels doesn’t have to limit member interaction, but instead, can provide two-way service through 24/7 access to a live person through voice or online chat. It can be a considerable point of differentiation for credit unions competing with banks and alternative financial institutions. “We want to ensure we create experiences where members get the information they need on the channel of their choice. Then we must find a way to leverage these channels to ensure customers are fully supported at all times,” says Bhatia. These types of customer experiences echo common concerns faced in the consumer goods and services industry – another potential area where international executive search teams can uncover top talent for your business needs. 1. Dedicate a leader to drive your digital transformation strategy. This leader must understand member needs and identify products and services to meet them effectively. They should also have a skill for hiring and developing talent and creating a collaborative team environment. Growth in today’s credit union environment requires a digital strategy to meet members and potential members with innovative products and enhanced services. High customer expectations are shaped by non-traditional financial service providers like PayPal and Google, requiring credit unions to develop a clear picture of their own digital futures. The Chief Digital Officer’s role is to ensure the digital experience is humanized in a manner consistent with the emotions conveyed in a person to person experience. 2. Monitor member data to personalize member experience. How a credit union evaluates its customer experience may dictate its long-term success. According to the Harvard Business Review, 58 percent of enterprises see a significant increase in customer retention and loyalty as a result of using customer analytics.4 Such a proactive approach to customer experience will enable organizations to identify customer needs, actions, and expectations, and be better equipped to identify innovative ways to provide higher-level service. But the journey doesn’t end with a one-time analysis. Monitoring customer experience data needs to be an ongoing process so improvements can be made continuously. 3. Eliminate silos and integrate data from multiple channels. Members (and credit union employees alike) are often forced to use different channels to get the information they need or complete a required transaction. Integration between the branch systems, a mobile application, and a call center can be fragmented resulting in frustration and delays. Legacy systems are often a root cause of problems in retrieving data. Converting to a new core system is a natural first step, but then, the next question is: What about the supporting systems? Credit unions often take an all-or-nothing attitude when it comes to technology, but everything doesn’t need to be done at once. Identify one achievable step and complete it well. Then move on to another step. The goal should be to create an integrated system that helps the credit union gain a better understanding of customer needs. Adopting the newest technology in all areas is not a requirement for embarking on the digital journey. What is necessary is taking a strategic approach to upgrading technology or integrating systems that address pain points such as increasing the speed of payments, making online transactions easy, and increasing fraud protection. One way to achieve a frictionless experience is to partner with fintech companies to gain capabilities at a reduced cost. Such partnerships can offer new capabilities such as artificial intelligence and automated decision making that can augment a credit union’s business, not take away from it. The number of credit unions has declined since 2008 as smaller ones have closed and larger ones consolidate to gain greater efficiency and maintain a competitive advantage. Those who remain are looking to reach new markets and tell their story in a way that attracts a wider customer base. Digitial transformation will allow credit unions to increase their membership by attracting younger, tech-savvy generations who still want hands-on guidance about products and services from a financial institution they can trust. It will also allow credit unions to continue to be differentiated in the banking industry by offering higher savings rates and lower loan rates along with a community presence where members, not investors, reign.